Experts agree that Leghorns rank as the world’s most prolific egg layers. Brown Leghorns lay 280 large, white eggs per annum. Hens start laying as early as eighteen weeks and have the ability to lay well into their old age. Breeders have bred the broodiness out of Leghorns to the point that owners rely almost solely on incubators to hatch new brood. Leghorns lay nearly year round and have a superior feed-to-egg conversion. Brown Leghorns boasts high egg yields on foraging feed alone. 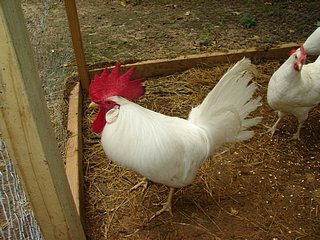 Lightweight and most noted for their egg laying, people often overlook the meat producing capabilities of the Leghorn. In 1938 the Pullman Coach Company only bought Leghorns fryers for their dining cars. Brown Leghorns love to do two things. They love to lay eggs, and they love to forage. Brown Leghorns start early in the morning and forage all day only returning to the roost in the early evening. They cover great distances in their constant search for food. Breed experts classify them as one of the world’s most dedicated fowl foragers. Active, intelligent, and wary of predators they accurately reflect their genetic, red-jungle-fowl, ancestral roots. The lightweight Leghorns like to fly and will roost in the trees over the coop if given the chance. Brown Leghorns avoid human contact and tend to get nervous or flighty in the presence of humans. 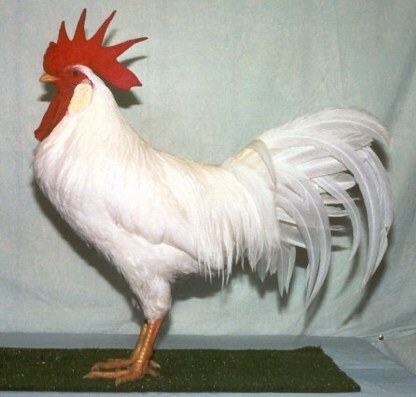 The Brown Leghorn rooster graces more photographs, paintings, and figurines than any other chicken in the world. They have a classic dark feathered body highlighted by orange hackle and saddle feathers. The wings end with large, bronze tips. The tail has a graceful arch made up of ornamental bluish black feathers. Large red combs and wattles stand in stark contrast to the rich, ornamental colors of the plumage and the brilliant white of the earlobes. The roosters look very much like a game hen or peacock. 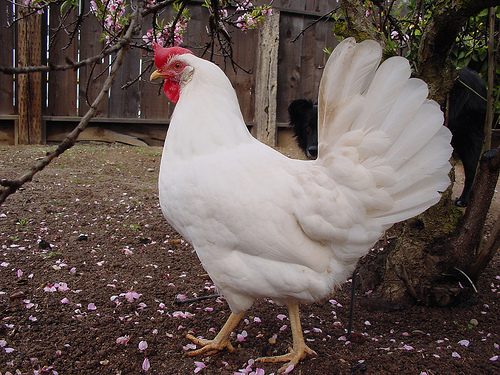 The Brown Leghorn hen has less color with a salmon tinged breast, dark wings, and a dark upright tail. Leghorns need room to forage. They reward their owner by finding most of their own food. Clip their wings or enclose their run to prevent flight and roosting in the trees. Provide adequate nesting boxes for their prolific laying. Brown Leghorns bear up to cold weather well, but their large combs can suffer frostbite. Provide a warm coop for the winter months. Brown Leghorns make noise. Place the coop in an area away from your neighbors. If you choose to hatch chicks, invest in an incubator. 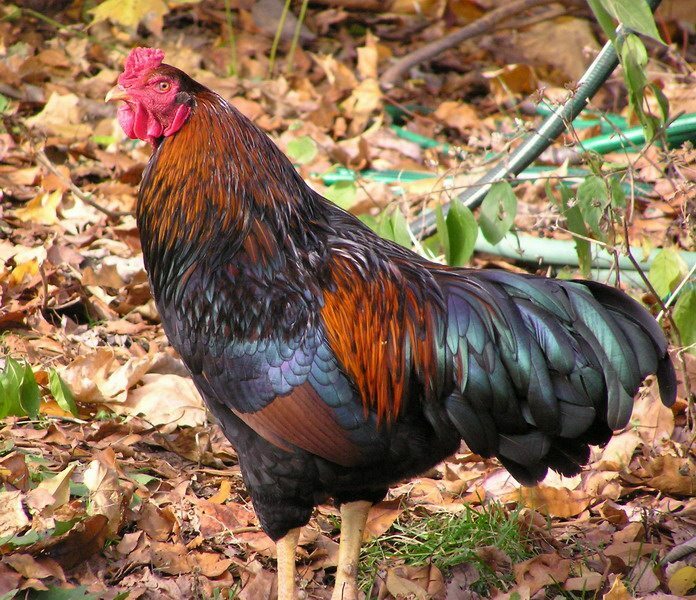 Leghorns came to America in 1853 from Italy and went by the name “Italians.” They arrived at a time when America and other nations had started experimenting with the betterment of chickens through genetics. 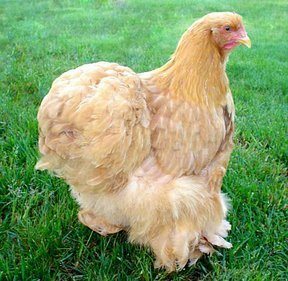 The Brown Leghorn gained entrance into the American Poultry Association in 1874. Several other lines have developed and continue to gain acceptance as late as 1981. They have shown themselves very productive and very popular.